In 2017, Fellowship in Prayer awarded Mandala Café a Sacred Journey Grant to provide free weekly meals in Central Harlem imbued with service, prayer and meditation; conduct free ten-week culinary training programs throughout the year; provide catering jobs to trainees, graduates and others. All these programs are multi-faith in nature, including people from diverse ethnic, spiritual and socio-economic backgrounds. 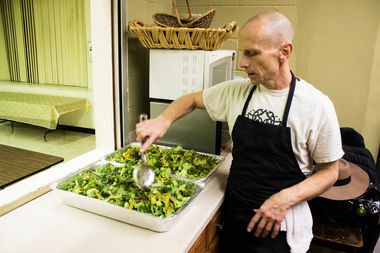 The Mandala Café is committed to providing access, dignity and mutuality around issues of food & employment.